A while ago I posted a list of perfumes that were probably terrible that I’d just have to try. 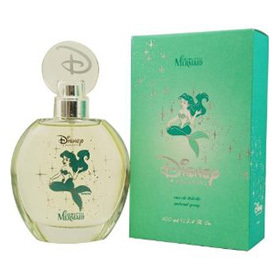 A bunch of Disney-themed fragrances was included on the list and I was genuinely excited when one of my friends said she had a questionably old bottle of it. Well the little vial of Princess Ariel arrived the other day and both my friend and I weighed in on how it smells. It smelled strongly of alcohol and broken florals. Thoroughly unpleasant and if there was an actual fragrance in there, it has long disappeared. So there was no Disney Princess perfume for either of us. Sad day. What I find kind of funny is how incredibly difficult it is to source truly awful perfume that nobody wanted to buy. I do remember the last time I was in a dollar store, I spent some time sniffing the offerings there next to a man who noticed me and said, “Forgot my wife’s birthday”. Whether or not he actually forgot his wife’s birthday or if he actually enjoys dollar store perfume and didn’t want to admit it, is anyone’s guess. All I knew was that the perfume was awful, but then I’m the kind of masochist who watches awful movies and plays terrible video games because I find them entertaining. Anyway, when I asked my friend how she managed upon a Disney Princess Ariel perfume she admitted that it was in a hodge podge box of perfume purchased at a garage sale. It had settled in amongst the standard offerings of half-full Cashmere Mist and Fantasy by Britney Spears. I got a description of the bottle and did some Google investigations. My research (hah) yielded a lot of people on eBay claiming this was authentic Disney merchandise. I’m no Disney expert so if this was somebody’s idea of a knock-off and wasn’t actually a Disney item then I wouldn’t be surprised. If you’re curious about this too and feel like throwing out $15-30, it’s widely available on eBay and on Amazon Marketplace. I only sprayed this on a piece of paper, so I suggest you do the same. And that’s what I did this weekend.